Are you working on a bio, essay, personal statement, or other document to help you stand out to employers or graduate schools? I help professionals and students achieve their career goals by tightening their professional communications. An edit can boost your confidence and make it easier to sell yourself. My clients have attracted recruiters, landed interviews, and been accepted to medical schools and fellowships. 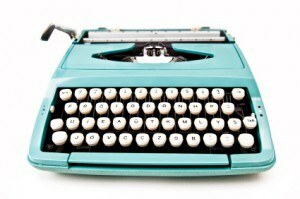 What kind of writing can benefit from career content editing? About pages. Artists' statements. Grant application essays. LinkedIn executive summaries (those overview paragraphs at the tops of profiles). No matter what the format, it's helpful to hire a professional to give the work a second look. I may find a story or pattern in your experiences that you don't see. When is a good time to hire an editor or coach for help? Any time! I can work off notes or a draft. Often we'll have a short conversation on the phone. These chats can inspire a new direction or a deeper insight we can use in your work. The ultimate goal is to create a narrative from your career experiences: what makes you unique? What makes you an asset to an organization? Fees vary. I can provide you an estimate after we talk. "If it is important, I use Kristen exclusively to edit and coach me in polishing my written work. Kristen excels at helping me organize my thoughts and work experience objectively. Kristen has a gift for pulling the story from me and helping me express my experience and enthusiasm so others can get as excited about my work and vision as I am. She helps me balance industry speak with clear writing that describes what I do clearly for a lay audience. After working together, I feel confident and excited with the documents I have and how they reflect me. Kristen is easy, kind, considerate, patient, knowledgeable, insightful, and fast to work with. I could not recommend her enough." "I gained an acceptance at ____ NYC. This was a school you helped me with! Thank you very much! I have gotten 4 interview requests. I turned down one, and have one planned in March. Overall, I cannot thank you enough! I am so lucky to have found you. I will be a medical student in the fall. If not in NYC then somewhere else." "I was so lucky to hear about Kristen. At the time, I had a draft and a lot of additional writings, but they were disorganized and not well written. Kristen was a lifesaver! She helped me bring my ideas together, and write them professionally. I had a new draft in a matter of days! Kristen is an excellent writer, has a view of the big picture, and helps to make your ideas express themselves in the best possible form." "I loved your big picture comments on my essay and the steps you took to address them. You captured the ideas I was trying to get across and your edits made my essay much more compelling. No one wants to hang out with a charlatan braggart and a weaksauce loser’s even worse but YOU DID A GREAT JOB GETTING ME TO STRIKE THE RIGHT BALANCE AND HOPEFULLY GET INVITED TO THE PARTY. I feel good about this essay. I’m really impressed with your work. My first time hiring an editor has been a real pleasure." "Thanks so much for your help with my revising and optimizing my resume and LinkedIn profile. I have megatons of insecurity about being an under-achiever and cannot say strongly enough how difficult it is for me to create something for the public to see about my professional trajectory. I really like how you rearranged my resume to highlight my strengths and the common thread running through my professional and community experiences. Dare I even say my shame is now lessened! Oh, also–someone contacted me today who found me on LinkedIn!!!"